Gurkhas | Glory to Great Kali, Gorkhas approach! Britain is celebrating 200 years of the Gurkhas with a series of events including an Everest climb and an Arctic expedition. April saw the launch of “Gurkha 200” in London to raise issues such as pensions for retired soldiers. A team will attempt to become the first serving members of the Brigade of Gurkhas to conquer Mount Everest, via the South Col route. Another expedition will bid to circle Ellesmere Island in the Arctic circle using kayaks and skis. 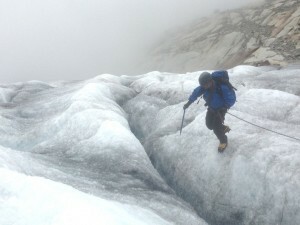 Major Andrew Todd (part of the Expedition’s management team) labelled the Gurkhas’ commitment to training “truly inspirational” and assured us that their sights are “firmly fixed on the summit of Everest”. 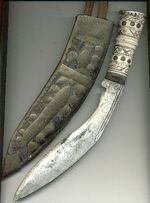 Probably the most renowned fighting knife in the world is the kukri, the wickedly curved knife of the Gurkhas of Nepal. In the hands of an experienced wielder this knife is about as formidable a weapon as can be conceived. Like all really good weapons, it’s efficiency depends much more upon the skill that the strength of the wielder and thus it happens that the little Gurkha a mere boy in point of stature, will cut to pieces of gigantic adversary who does not understand his mode of onset. The Gurkha generally strikes upwards with the kukri, possibly in order to avoid wounding himself should his blow fail, and possibly because an upward cut is just the one that can be least guarded against.